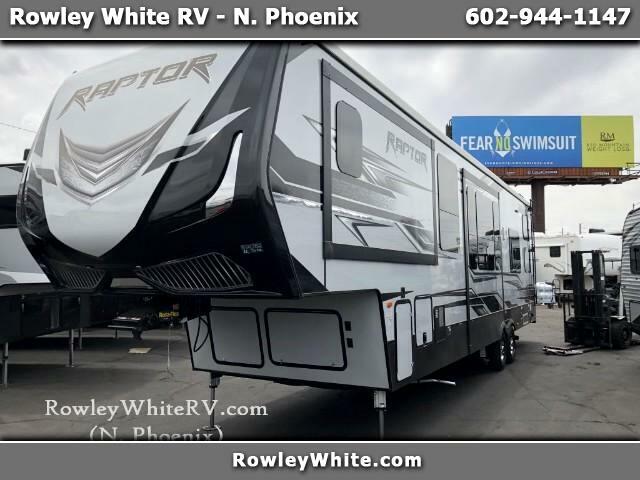 2018 Raptor 353TS Fifth wheel toyhauler has everything one would need! Must be seen in person to be fully appreciated! 9665 N Cave Creek Rd. Open Monday - Thursday 9-6 Friday 9-5 Saturday 9-4 or by appointment. We deal with multiple banks to get you the best rates. We also work with banks who specialize in helping people rebuild their credit. If you are looking for any Attitude, Stellar, Iconic, Sandstorm, Genesis or Stealth model toy haulers you will make it worth the visit.